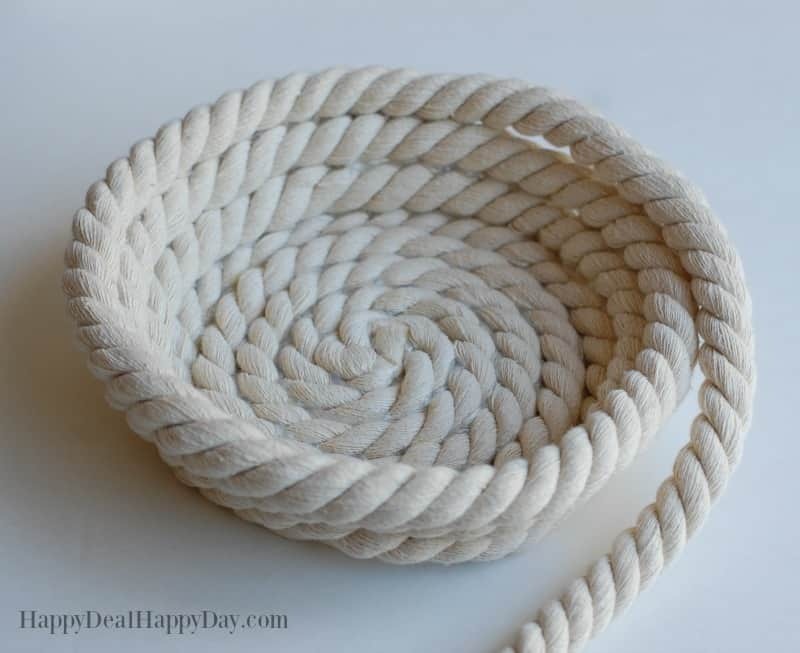 Easy DIY No Sew Rope Bowl | Happy Deal - Happy Day! 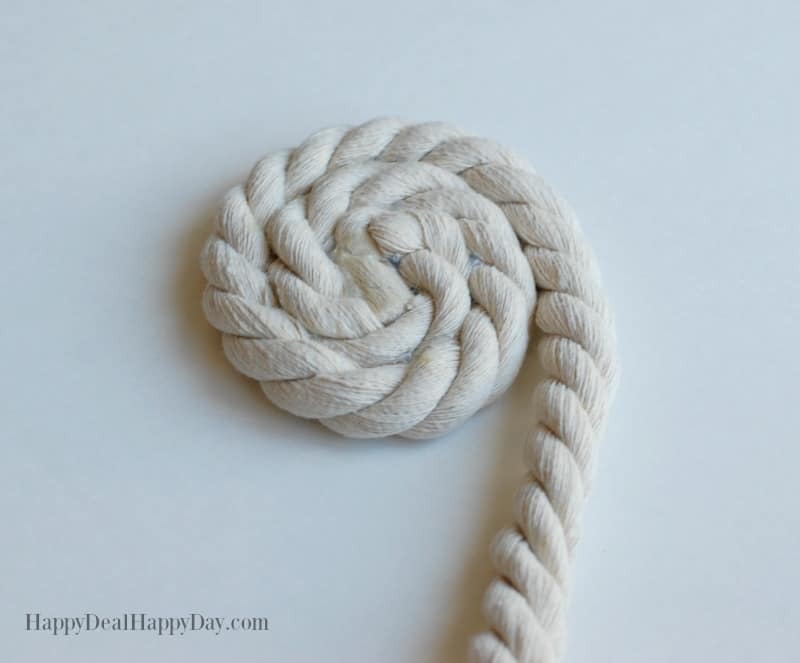 Here is another easy DIY project that only requires 2 materials – cotton rope and hot glue! 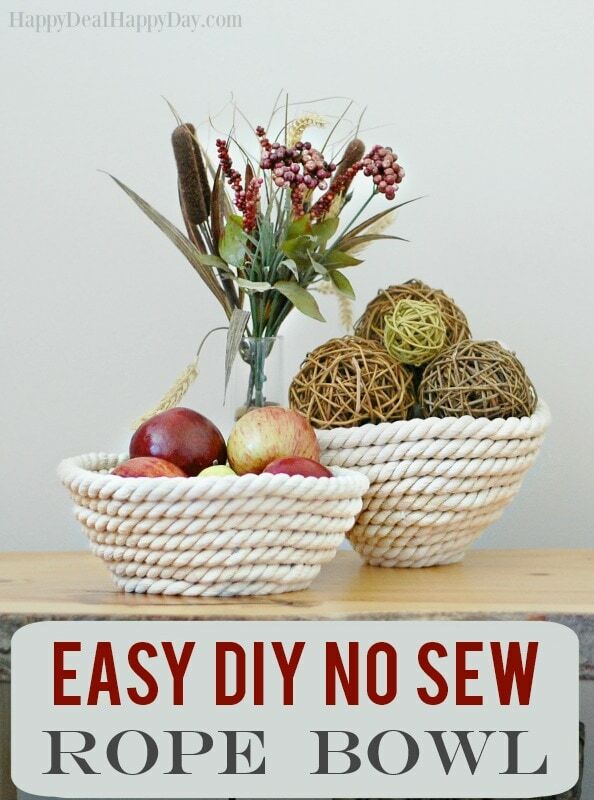 No sewing required!! This is a very cute decorative item that can hold numerous items, from fruit to decorative wicker balls. 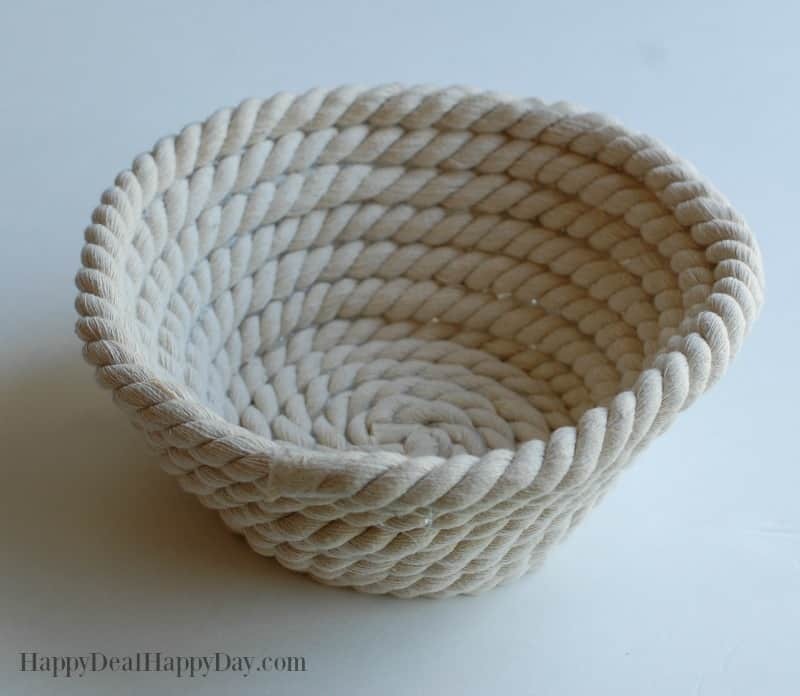 This would be cute in a nautical themed bathroom holding some rolled up washcloths as well! 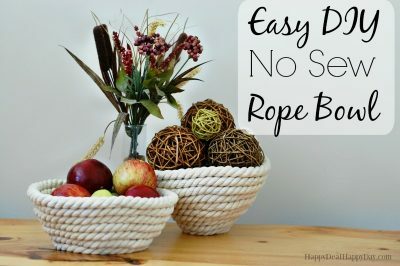 I give you the basic pattern and instructions here, but feel free to mix this up a bit – try a different color or texture of rope, and see what kind of no sew rope bowl you can create! 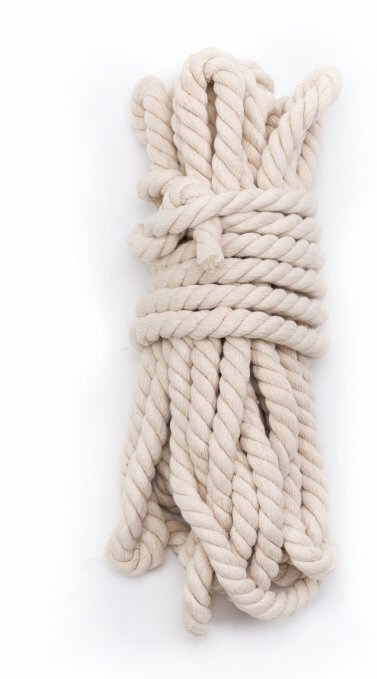 Three Strands of White Twisted Cotton Ropes, 0.6” Diameter, 33 Feets Length (last time I checked it was currently unavailable – but there are other similar ropes over here). This is long enough to make 2 bowls. Lots of hot glue sticks! The rope I purchased was .6″ in diameter and 33 feet long. The first thing I did was cut it in half into (2) 16.5′ long pieces of rope. This was the right size to make the 2 bowls I made in the top picture. 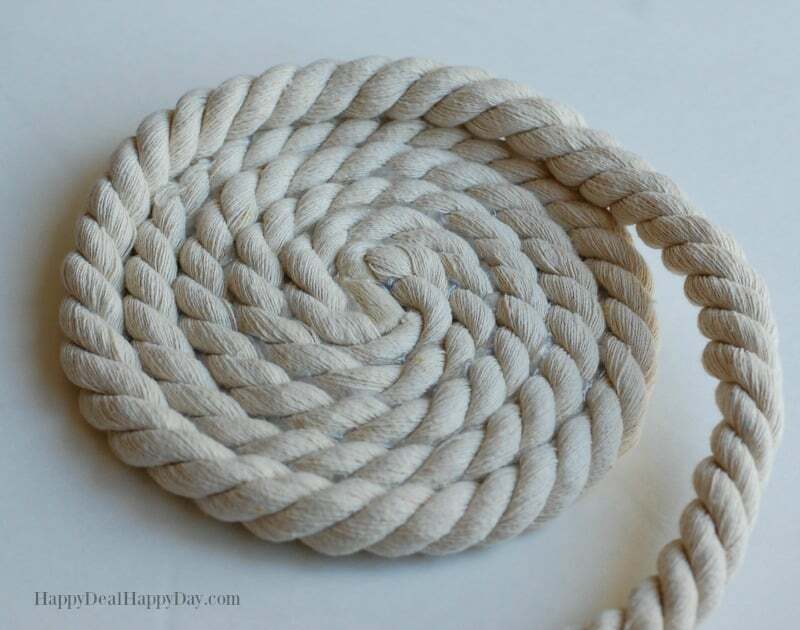 To make a wider and shallower bowl, start by tightly wrapping and gluing the rope in a circle as pictured above. I wrapped it and glued it into 6 rows for the bottom of the bowl. For a taller and narrower bowl, you would need to wrap and glue just about 4 flat rows. 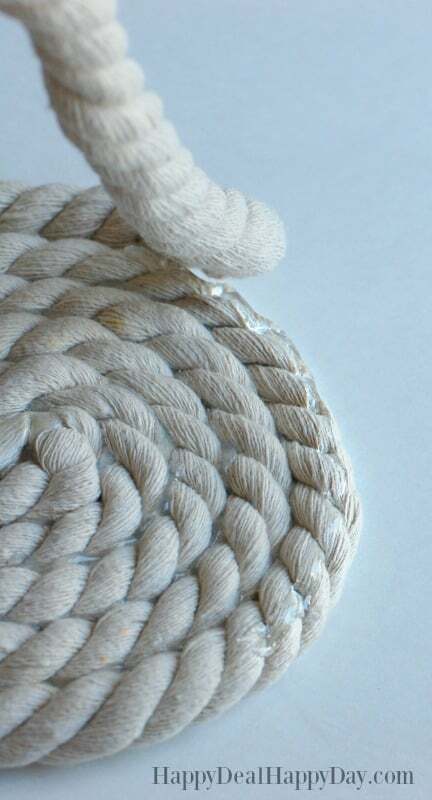 When you are ready to build up the sides, place the hot glue on the top outer edge of the rope so that when you place it on top, it will still be making the bowl wider and higher at the same time. 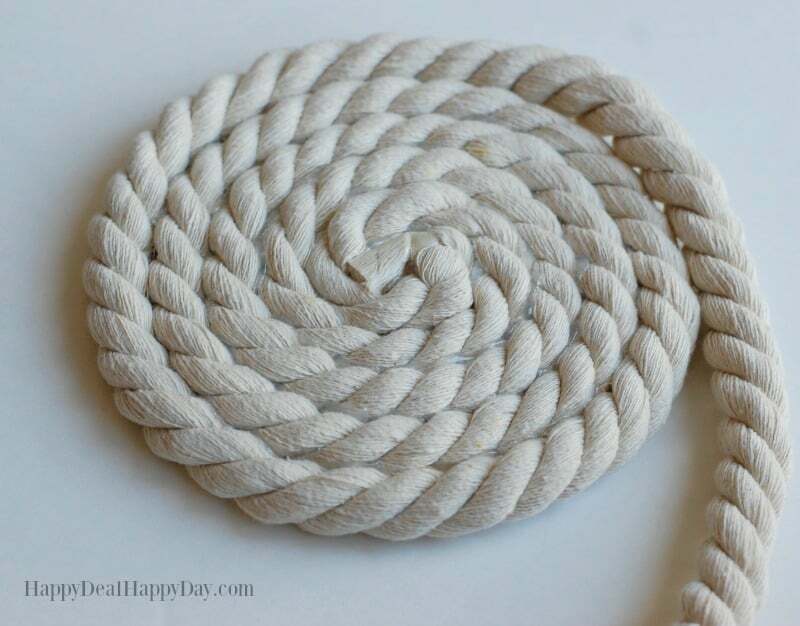 You will want to be sure you are gluing all of the rope, and not just every few inches. This way there won’t be any random air gaps in the bowl. 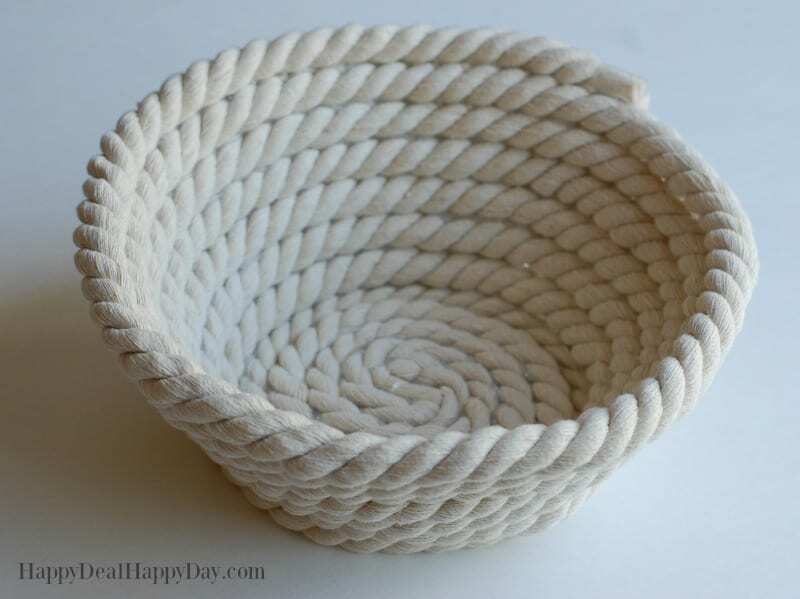 You could also use an actual bowl as a template and wrap the rope around the bowl if you’d like yours to be 100% symmetrical. Here it is 3 rows high – again gluing on the outer edge, so that it is constantly being built up and out. The last row I placed the glue directly in the center of the rope, rather than the outer edge. This way the last row was directly on top of the previous row and makes it a bit sturdier and gives it a nice finished feel. 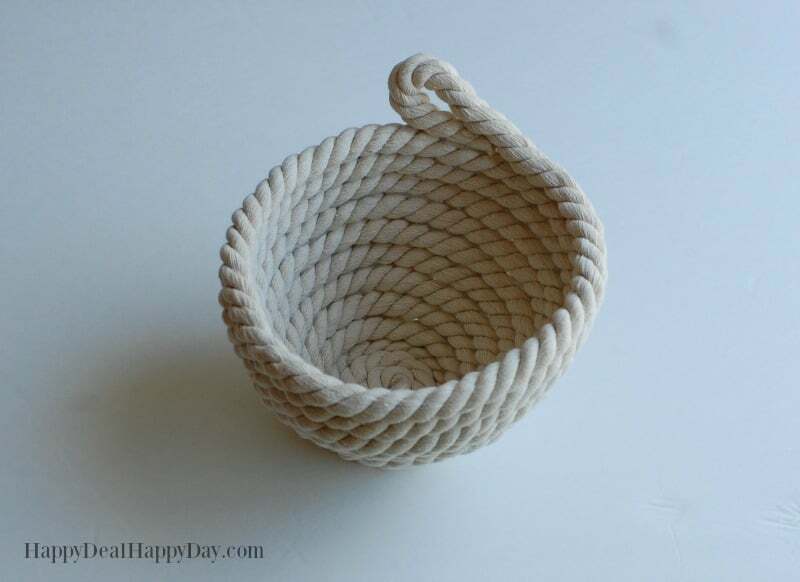 I chose for this rope bowl just to glue the end of the rope flat to the bowl. 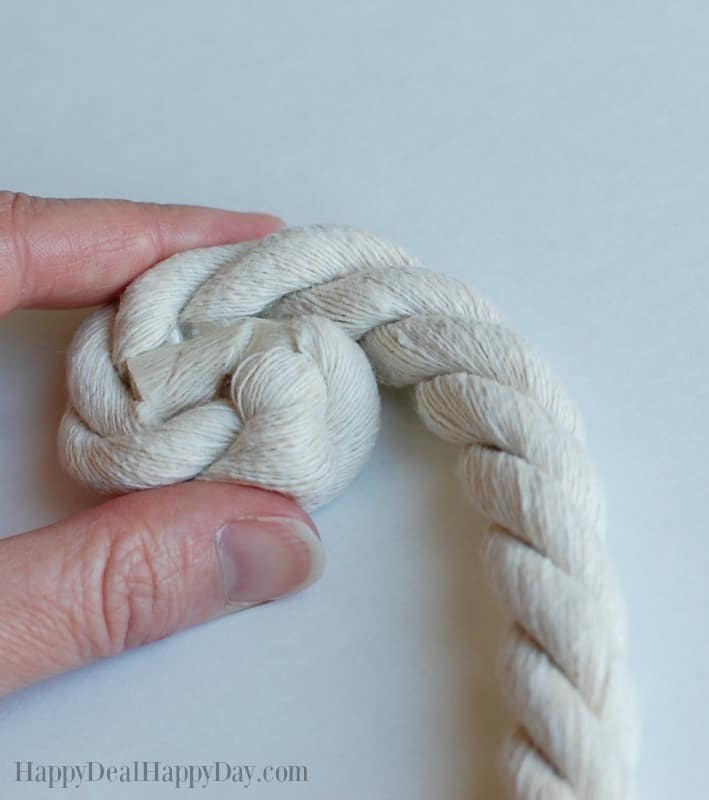 You could also loop the end around like the one above for a small handle. To see all of my Frugal Craft, DIY and Decor ideas, GO HERE! ← Honey Nut Cheerios for $1.50 at Wegmans with NEW $0.50/1 Coupon!